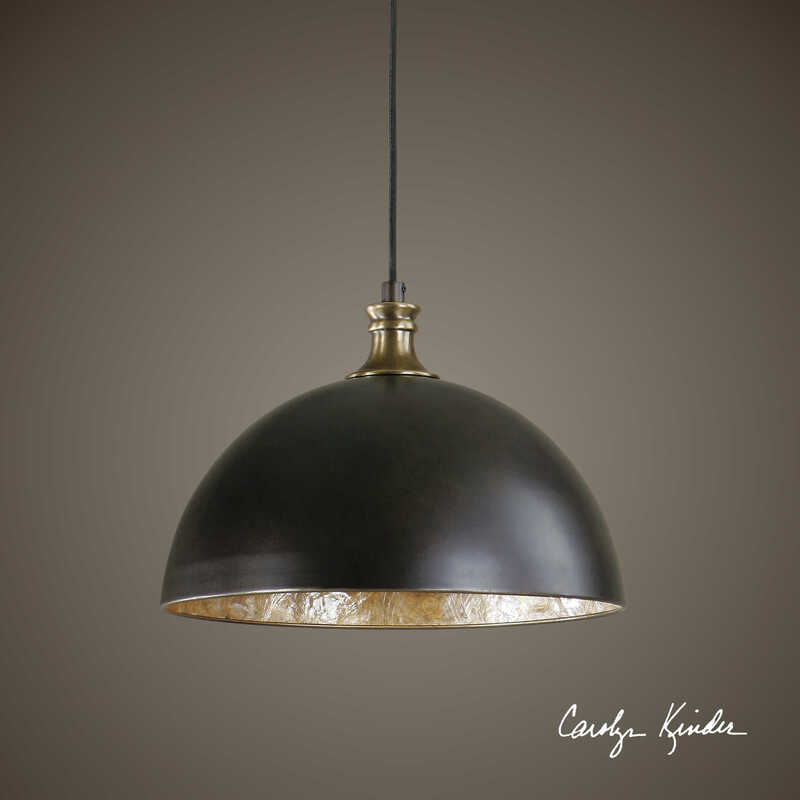 For the Placuna 1-Light Pendant, we have taken the simple look of a metal dome pendant in a pacific bronze finish with antique brass accents and have added a wow of opulence by adding warm antiqued capiz shell and lined the interior for a wonderful transitional style. Designed by Carolyn Kinder International. Dimensions: 13 H X 16 Dia. (in); Weight (lbs): 8; Wattage/Bulb Type: 1 60 watt BT58 antique-style bulb included. Available to trade professionals at Uttermost.com. For retail purchase Google search term “Carolyn Kinder Placuna 1-Light Pendant”.